In Traill County, our physicians practice in a caring environment where patients are the number one priority. They are connected with extensive medical services networks in both Fargo-Moorhead and Grand Forks-East Grand Forks. For a complete listing of all health care services, check out our businesses page. The county is served by two fully accredited hospitals. Sanford Mayville Medical Center is a 25-bed hospital that has been ranked as one of the top 100 rural hospitals in the country. Sanford Hillsboro Medical Center in Hillsboro was remodeled in 2009 to provide a 16-bed critical access hospital for acute and swing bed care. 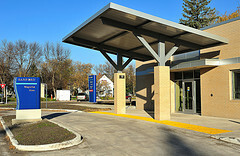 Both hospitals work with Sanford Health for medical staff and have emergency and therapy services. In addition to these local hospitals, Traill County also is served by Altru Health System in Grand Forks and Essentia Health in Fargo. 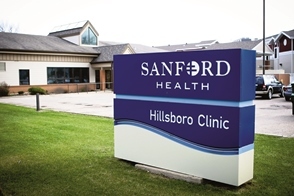 Hillsboro and Mayville are served by Sanford Mayville Clinic and Sanford Health Hillsboro Clinic. These clinics are located in the medical centers in each city and have dedicated staff, many of whom live in the communities and know their patients by name. Traill County has three long-term care facilities. Hatton Prairie Village has 42 skilled nursing units and 19 independent and assisted living apartments. The center includes many amenities including a barber shop, salon, chapel, gift shop, coffee shop and onsite banking services. Owned by the community’s six churches, Hatton Prairie Village is a great option for senior living. 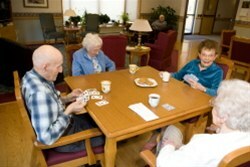 Hatton Prairie Village residents enjoying an afternoon of cards. 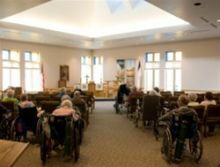 The beautiful chapel is attended by many residents for services. Sanford Hillsboro Medical Center completed a $12.5 million expansion in 2009. This expansion houses a 36-bed facility that includes 32 private and two semi-private rooms with beautiful views of the community. Comstock Corner, the medical center’s 16 assisted living apartments, offer meals for residents and nursing services, as well as emergency call systems and activity programs. Located in Sanford Hillsboro Medical Center, these living options are a short walk to the clinic and hospital. Sanford Hillsboro Medical Center ‘s long-term care center features a harvest mural near the entry. Resident dining rooms boast a family feel for serving meals. 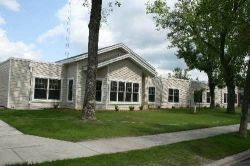 Luther Memorial Home in Mayville is a 99-bed skilled nursing home located on the east side of Mayville. Luther Memorial Home features an 18-bed special care/Alzheimer’s unit for patients with memory concerns. Adjacent to Luther Memorial Home are Sun Center South and Sun Center East, Mayville’s independent and assisted living apartments. A total of 41 apartments are in the Sun Center buildings. They include light housekeeping, emergency call systems and activity programs. The Sun Center Apartments facility has a large “main street” hallway. Luther Memorial Home has a large pool facility for exercise and rehab.